Global issues such as climate change and the aftermath of the 2008 financial crisis have spurred interest in thinking about the history of the modern economy that goes beyond disciplinary economic history. 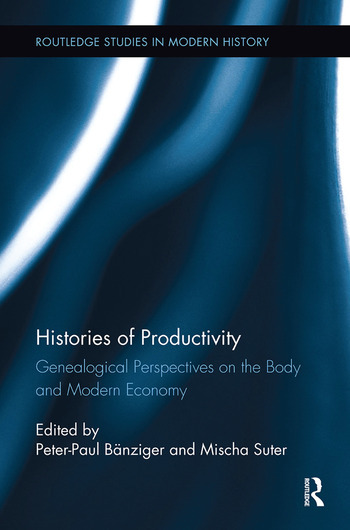 This book contributes to the cultural history of capitalism and its different regimes of productivity by pursuing the perspective of body history and by providing a global scope. Throughout modernity, the body served as a fundamental, albeit essentially changing, linchpin for both the organization of economic practices and for intellectual reflections on the economy. In particular, it was the pivotal interface to render notions of economic productivity intelligible. The book explores this central thesis in a range of case studies, drawing on source material from West Africa, Europe, Mexico, and the US. Framed by a theoretically informed introduction, which also provides a conceptual history of notions of productivity, and by an afterword that brings the approaches explored in this volume into dialogue with scholarship inspired by Marx and Foucault, the individual chapters tackle the concept of productivity from a wide array of angles, each illuminating the promises and problems of a cultural take on the history of economic productivity. Peter-Paul Bänziger is currently the recipient of an Ambizione grant from the Swiss National Science Foundation at the University of Basel. Mischa Suter is a lecturer in Modern European History at the University of Basel.